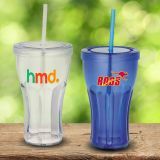 Custom travel mugs and tumblers make cost effective and high visibility giveaways for summer promotional campaigns, road shows and product launches among others. 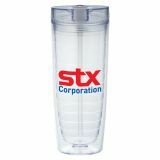 Introduce your brand to score new customers at conferences or celebrate special events with these delightful custom mugs. 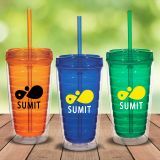 ProImprint offers you the ultimate luxury of choosing from some of the finest collections of custom mugs at attractive rates. 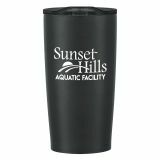 Shop today and avail FREE set up and artwork assistance, 100% price match guarantee and discounts on bulk purchases. 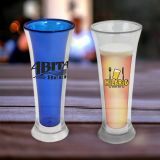 Rush order options available! 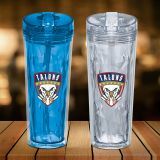 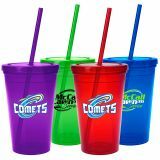 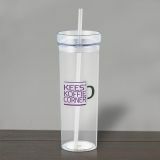 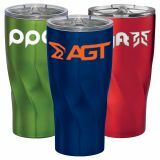 Custom logo imprinted travel mugs and tumblers make potent promotional gifts to make your brand seen all over in a spurt! 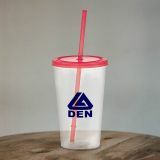 These mugs can keep your customers energetic and on the go even for long hours in work places, on play fields, during road trips or at the gym. 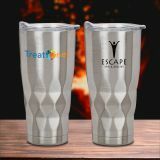 The best part is that these custom travel mugs will leave your brand well exposed all over the world as they travel through airports and hotels. 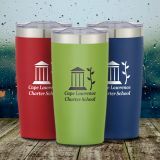 Make each sip as relishing as their first with these insulated travel mugs that will help them carry their beverages at the right temperature and take your logo on a swing every time they pour out their drink! 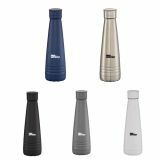 These can be gifted for busy professionals, college students and just about anyone who like to have their beverages anytime, anywhere. 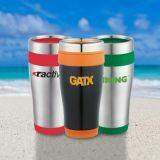 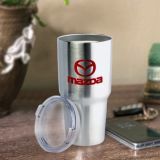 These promotional travel mugs that fit in most cup holders offer various other useful features like easy clean design, grip handle and a spill-resistant slide lid. 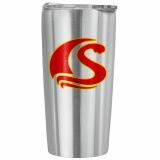 ProImprint has travel mugs of various types including steel, plastic , acrylic,etc. 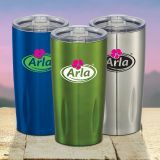 in a range of bright and beautiful colors that will light up their mornings and put them on a high energy trail! 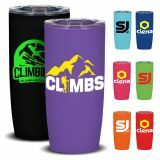 Put your brand or business slogan on these great looking travel mugs to make a robust brand promotional gift on a budget. 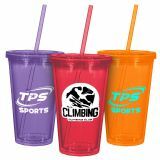 These make excellent personal gifts too. 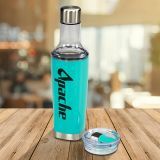 Be it wedding favors, birthday and milestone celebration gifts, Mother’s day gifts or more, these can impart brilliance to all your special moments. 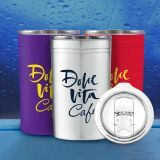 Logo imprinted travel mugs will take your branding around town even during the rush hours as the users like to tote them in trains, cars, walkways, etc. 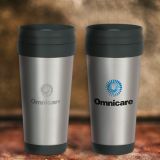 These stylish personalized travel mugs with logo will keep your brand well recognized among everyone. 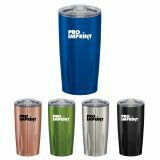 Reusable and long lasting, these travel mugs help them save by brewing coffee at home, prevent the plastic menace caused by disposable cups and above all put your brand in parade! 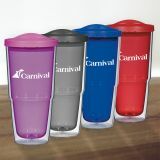 With an assorted selection of custom travel mugs at ProImprint, making a choice can get tough at times. 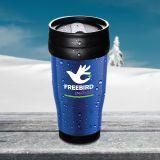 Our promotional experts will love to be on your side to help you choose the very best travel mugs for your brand promo. 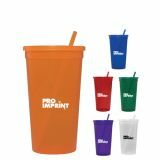 Just call us at 844-776-4677 or email us at info@proimprint.com for orders or queries.